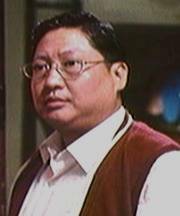 Ahh….an unmitigated guilty joy and pleasure in the catalogue of all things Sammo Hung for many reasons. 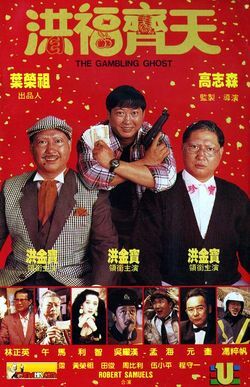 As well as our hero playing three parts, Grandfather, Father and central role of son, the movie revisits the supernatural theme in a contemporary setting with those cherished dashes of humour that make Sammo such an engaging lead man and protagonist. 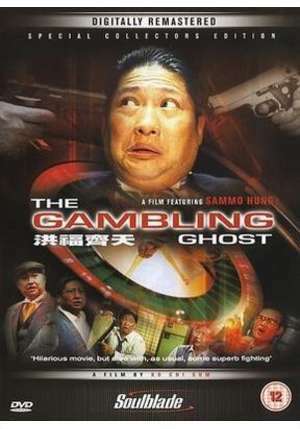 The Gambling Ghost centres on hotel worker Hung (the Son) and co-worker and friend (Mang Hoi). Both are compulsive gamblers who continually come up with ill thought-out schemes and plots to make and extort money, and dream of hitting their jackpot so they never have to work in hotels again. Son Hung lives at home with his Father, distinguishable from Son Hung with silver streaked hair, round glasses and conservative casual dress. His father is ashamed but fearful for his rascal of a son and implores him not to follow in the footsteps of his father, the murdered ‘Gambling King’ who bought shame to the family. Hung ignores all advice and continues his wasteful ways. During one particularly devilish scheme conning a female fraudster out of her sideline stealing and selling cars, Son Hung and Hoi are ambushed by one of her victims. Hoi is taken hostage and Hung faces a race to make the million it’ll take to free him. Dispirited and disillusioned, he steals a cab ride by pretending to be a ghost traveller and is chased by police into stormy grassland. Stumbling across the grave of his grandfather the Gambling King, Hung spits and curses at it. But when he reaches home and has a physical altercation with his disappointed father, the grandfather emerges from the spirit world to break them up, and promises to help Hung make the million if he helps track down the ones who murdered him. The Gambling Ghost utilises split screens quite effectively, the man who doubles is also convincing as the solidly-built Hung. Varying levels of kung fu are also displayed well, Son Hung barely capable, grandfather equipped with the spirit world to help him fly and overtake bodies, and father extremely skilled – the lynchpin of the family and of the martial arts triumvirate. 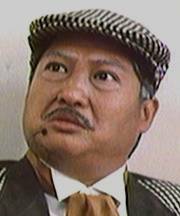 Sammo graces each character with the right intensity they require - Son boisterous and overly-confident, Father tranquil respectable and watchful, and Grandfather mischievous but venerable. A screen featuring body possession sees Son take on a dockyard of heavies with the skills of Grandfather, flying and shooting back missile fire. 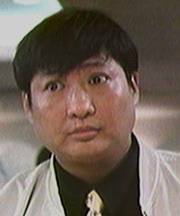 Sammo also takes on his real-life then protégée, Bobby Samuels, an Afro-American stunt player who lived with Hung and his family at that time. In his first screen outing Samuels proves a good opponent for the Son, and displays the awareness and skill that got him backing to enter the Hong Kong Stuntman association. But the real skill comes from quiet Father, who rescues his Son from a serious beating with sharp moves, confident grace and an assured turn of speed. The beautiful female lead, Li Chi (wife of Jet Li), adds glamour and a strong self-assured performance to the cast. Some scenes seem out of place, as though heavily cut, one such featuring a welcome cameo from Wu Ma as a jackpot chaser while Grandfather rigs the state lottery. 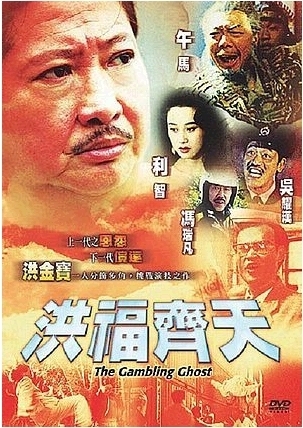 Other cameos come from the late Lam Ching-Ying as a stubborn exorcist and Richard Ng (now Woo) as a traffic policeman. Fight scenes aside, The Gambling Ghost is funny and nicely paced, each member of the family allowed time to develop and become distinguishable from the other, while choreography well thought out for each version of Sammo. Perhaps it does feel disjointed in areas, and Li Chi is underused, but it still satisfies those who’ve an appetite for all things Big Brother Big!